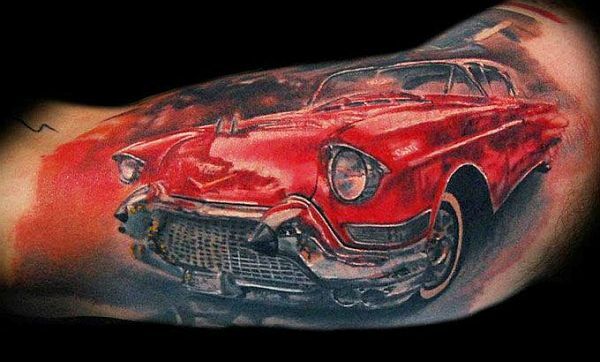 Automobile inspired tattoos are quite a trend. Before getting an auto tattoo on your body, make sure you know the best designs of this type. Below are some of the best designs of auto or car tattoos. Vintage cars are unique and beautiful. Vintage cars being rare and old, they are available on very high prices. By tattooing vintage cars, you can also own one. You can choose any of your favorite vintage cars and tattoo it on your body. While tattooing Vintage cars, you can also add the year of its making. Moreover, Vintage cars look best on arms or back, as it covers the whole part of body giving a perfect look to the tattoo. Vintage cars were mostly long and stylish, so choose big area for tattooing this car. Among car tattoos, burning car tattoo is quite popular among people who love racing car with flames surrounding it. Burning car tattoo is a good way of representing your love for racing cars. With flames, all around and car in between looks quite attractive and appealing. When tattooing this car, you must make it either on the back or upper shoulder. Making it at these parts will allow making a full-length car surrounded by flames. People who love Mercedes Benz or own one, would love to get this tattoo. With all those free hand strokes, the logo of Mercedes Benz looks amazing. With golden and black shades, this tattoo looks stunning. While its design attracts all the eyes, making it on forearm will make it completely visible to everyone. 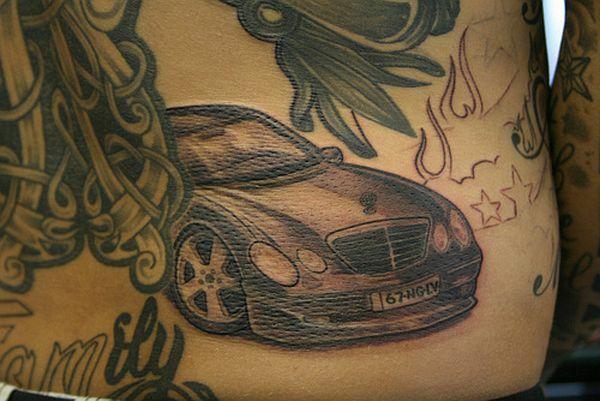 While making car tattoo next time, you can consider this amazing Mercedes Benz tattoo and show it off to the world by tattooing it somewhere from where it is clearly visible. 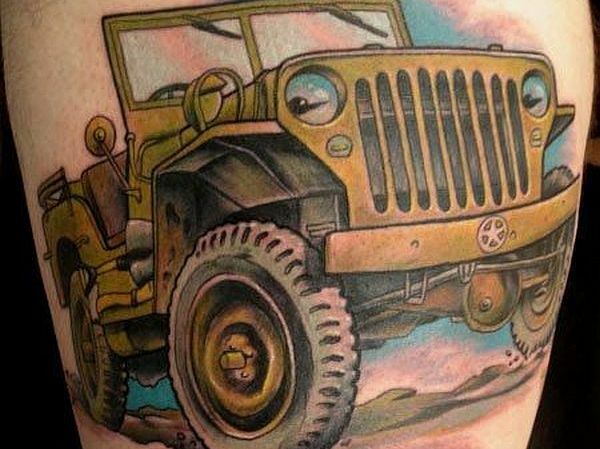 Tattooing a Jeep represents that you love travelling an adventure. Some people are fond of travelling and doing adventurous activities in life. 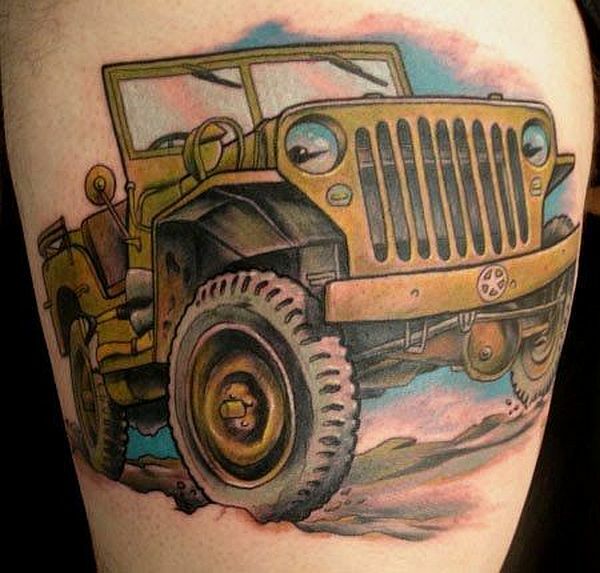 Jeep is a perfect tattoo for such people who love to explore new places while doing adventurous activities. You can make it anywhere you want but tattooing on back, you will be able to surround it with nature for getting the feel of adventure and travelling. Body art has been trending for a very long time. People like to modify their bodies and that is why this art is still going on with the passing time. Among all of them car tattoo is quite popular, mainly among the people who has soft corner for cars. 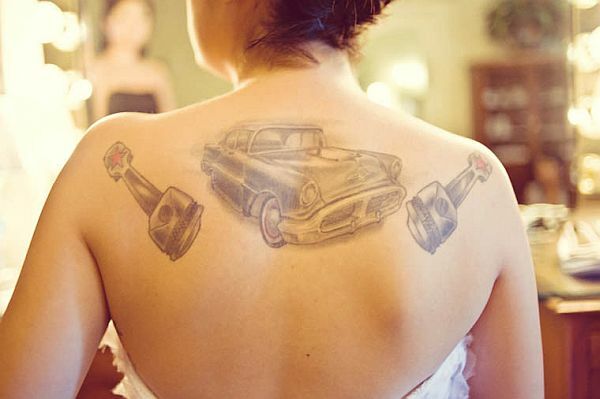 With these tattoos, they can show their love for cars to the world.